If you have had a tree removed previously from your property, you may find that part of the tree is still left buried in the ground. Tree stumps can cause considerable problems such as a tripping hazard, getting in the way of any paving, landscaping or construction plans, or if not removed in time, will begin to rot and become a breeding ground for termites or fungal/mildew diseases. Stump grinding is an environmentally safe choice for stump removal as no toxic chemicals are used in the process. Assured Tree Services are highly experienced professionals who have provided complete tree stump grinding and removal solutions for residents and businesses in Perth for over 15 years. We use specialised equipment to grind the stump down to below ground level, even in difficult or narrow spaces, without causing any damage to surrounding plants or structures. Our range of stump grinding machinery offers solutions for small and large-scale tree stump issues. No job is too big or too small. Our team starts with a risk assessment, ensuring there is safe access and no underground pipes or utilities. We then grind the stump between 100-300mm, depending on location and safety. The fine mulch that is created in the process is left behind and used to fill the empty space created by the removal of the stump and roots. The ground is then levelled, with no trace of the stump in your garden, leaving the ground ready for replanting or landscaping. If Stump grinding is not the best option that works for your garden solution, we also offer total stump removal. At Assured Tree Services, we take absolute care to ensure no damage is done to the property or the surrounding areas and that your outdoor environment is always left tidy. 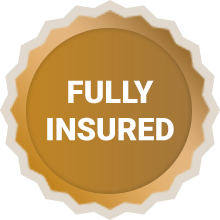 All of our equipment is fully insured and regularly serviced and we are covered by comprehensive insurances that exceed industry standards. Call the owner, Steve on 0417 938 353 or contact us today and Steve will meet you onsite to discuss your Stump Grinding needs.